DMT Dia-Sharp® - mini continuous diamond sharpener. 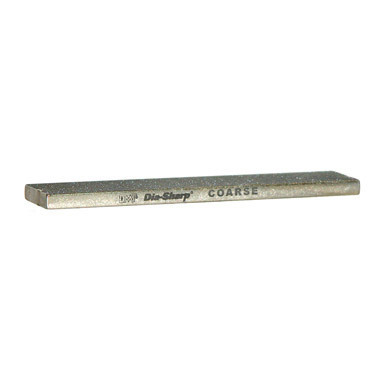 Dia-Sharp 4" continuous diamond sharpening stone delivers full-size sharpening while maximizing work and storage space. Perfectly suited for small contact area and pointed tools. Compact bench or counter use. Size: 4" x 7/8" x 3/16" (100mm x 22mm x 5mm).